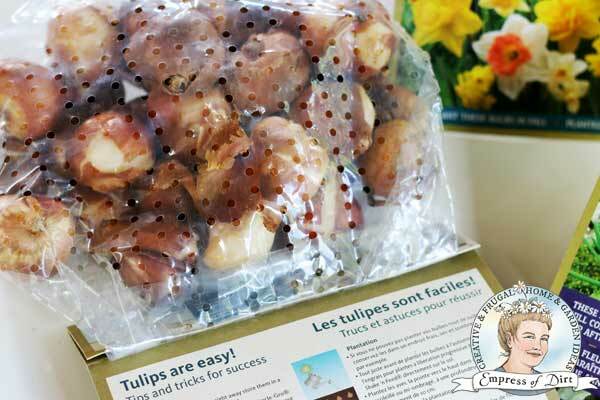 If you are new to gardening or have never planted flowering bulbs, this is for you. 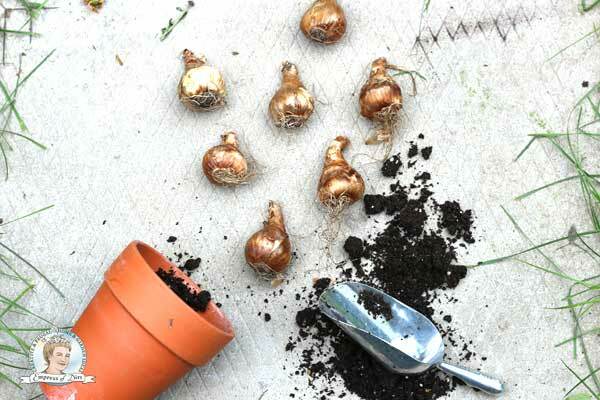 It’s a simple overview of how to plant bulbs in fall for flowers in spring. That fall-winter cooling period is important, so be sure to get them ready before the ground freezes. For all my tips on bulbs, see Growing Bulbs | Helpful Resources. 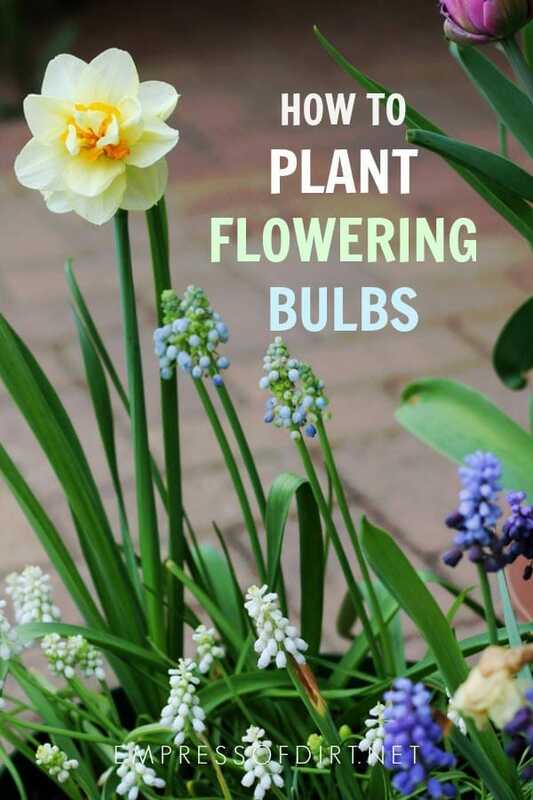 This guide is for those flower bulbs you see in shops in fall. Tulips, daffodils, hyacinth, crocus, scilla (also known as Siberian squill), and Dutch iris are popular examples. 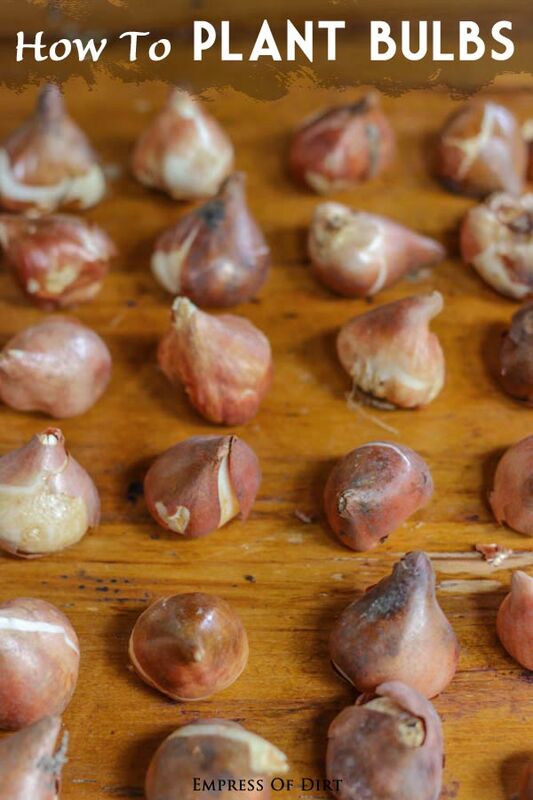 Fall is the time to plant these bulbs because, generally speaking, they need time in cooler conditions, with soil temperatures of 35-45°F or 2-8°C, for several months (16 to 18 weeks) for spring flowering to occur. Where I am in Ontario, Canada, optimum planting time is from mid-September through October, prior to our first frosts in late October or November. This also shares natural signs and signals indicating it’s time to plant fall bulbs. You can plant bulbs in the ground, or in containers. If critters are a problem, containers are a good option but you will need a garage, shed, or patio to store and keep them just above freezing temperatures. Sir the Squirrel had the funniest grey frown. And an appetite for the finest bird seed. 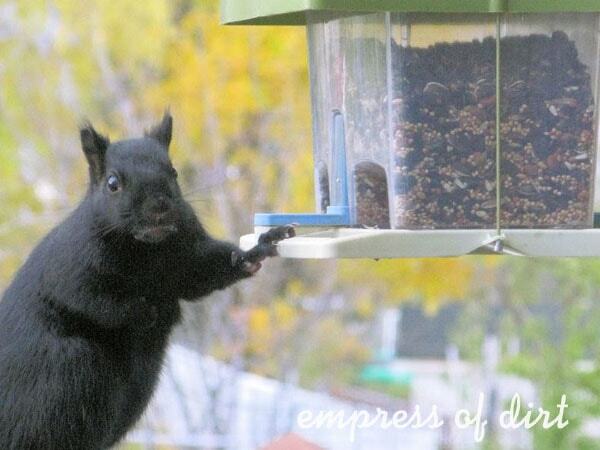 If squirrels are standing by waiting to eat your bulbs, plant daffodils. They are toxic to squirrels so they won’t touch them. Containers can also be stored away from hungry beasts. Once flowering, bulbs are not a desirable snack for the wild things. Although, deer will probably never say no to flowers. Have a look at the bulbs before you buy them. Are they firm and dry? Healthy looking? Free of mushy spots, mold, or bruises? Good! If not, choose others. If you have received unhealthy bulbs by mail order, contact the company and exchange or return them. There are so many gorgeous options! I’ll show you some favourites here at Amazon to get ideas, but I always recommend finding a bulb shop you like that knows your climate if possible. Some people ask about the papery skins that peel and come off. That’s fine! It’s a natural protective layer but they will come off over time. Each bulb has a top and bottom. On some, it is more obvious than others. The top is often somewhat pointy. The bottom is flatter and there may be little roots already there. When planting, the bottom sits on the soil and the top faces up. If your bulbs are not making this obvious, don’t sweat it. They will still grow and bloom when planted upside-down: it just requires a little extra growth to get turned around. I always feel like an annoying teacher when I say this, but read your packets! Seed and bulb companies want you to succeed. They want you to grow beautiful plants from their products so you will remember them, buy again, and recommend them to your friends. The good ones put incredible effort into testing and refining the plants and methods to find what works best. And often, it’s all right there on the package or tag! What if I don’t have a plant tag or label? If you know what the bulb is (tulip or whatever), look it up. Otherwise, here’s a few tips. 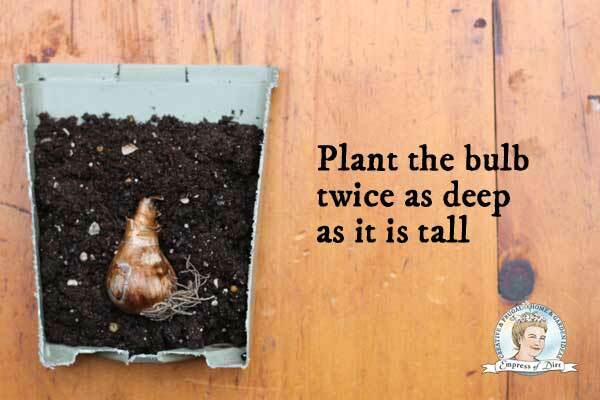 In general, bulbs should be planted at twice the depth as the bulb is tall. 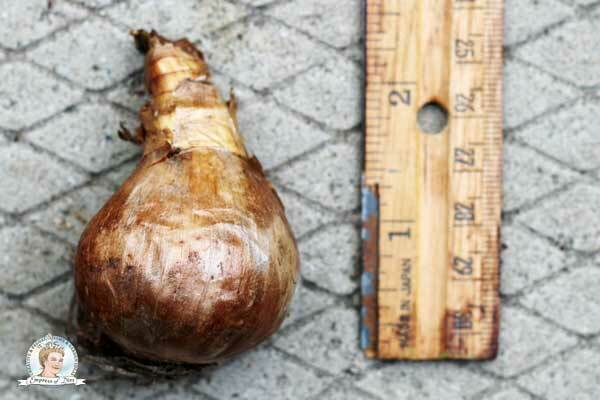 If your flower bulb is approximately 3-inches tall, you would dig 6-inches deep in the soil for planting. One cool thing with bulbs is, you can stack them. 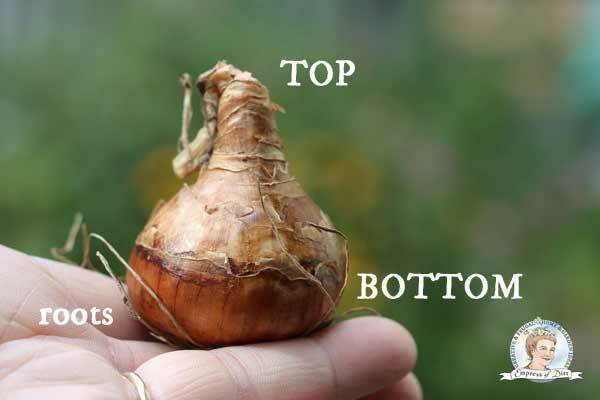 Whether you choose plant bulbs in the ground or a container, you can have layers of bulbs, based on their best planting depths. It’s also smart to mark where you have planted bulbs, to avoid digging in to them at the times of year when the foliage is not visible above the soil. Bulbs planted in the ground are watered and then left alone. Nature will take care of them. Easy! 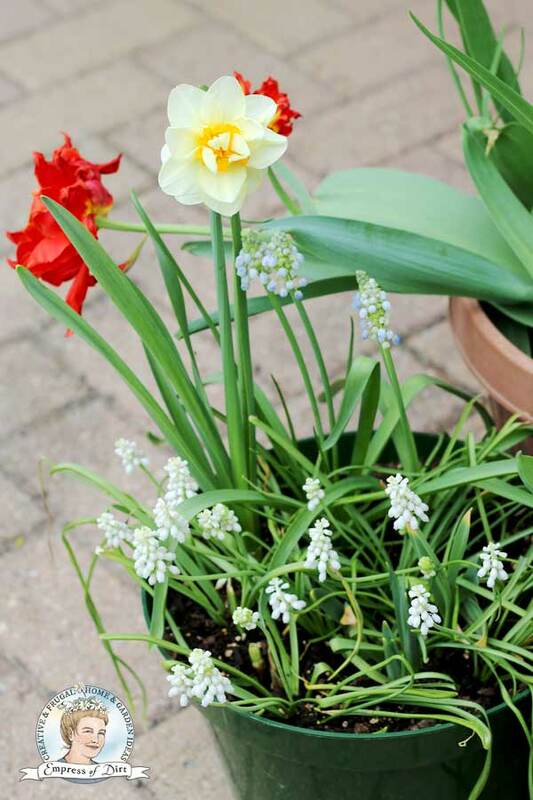 Bulbs planted in containers are watered after planting and put in cool, dark storage. Check them monthly and water if the soil is dry. In spring, the containers are re-introduced to light, warmer temperatures, and watered so the plants can grow and bloom. Generally speaking (again), when temperatures hover around 60F (15C), it’s time to wake up the bulb containers from storage. It varies by bulb type but, in general, many types of bulbs can bloom for several years before dying off. They also multiply in the ground, providing more for the future. Bulbs grown in containers may also have more life in them. After blooming, the flowers will dry out and the foliage will dry and wilt. 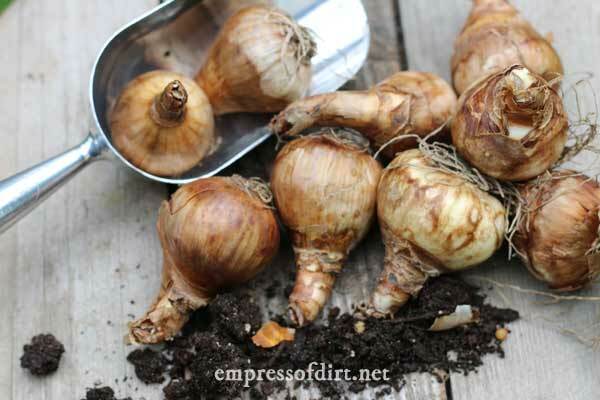 Wait until this is done, then remove the bulbs from the soil, gently brush off excess soil and allow to dry a few days before storing them in a cool, dark place until it time to plant them again in the fall. Provide fresh potting mix next time to provide nutrients and prevent the spread of disease. Okay. 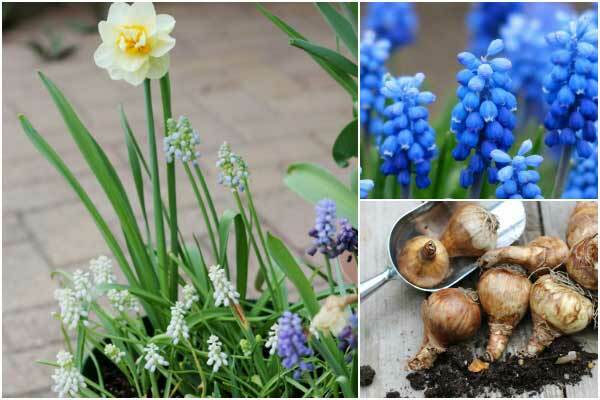 Time to get some bulbs planted so you’re ready for spring. The 1st time I planted a bulb I was so happy when I saw a green’shoot’ come through until I realized that I had planted the bulb upside-down. I was so embarrassed. Now, after reading your post this has come in really handy for this month’s planting. Thank you Melissa for being around when I need you. Happy planting!